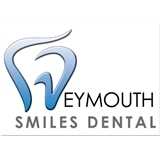 Weymouth Smiles Dental (Weymouth) - Book Appointment Online! East Weymouth cosmetic dentists, Dr. Shahram Moghaddam DMD, understand that in today’s world, an aesthetic smile is very important. A beautiful smile leaves a good first impression and can give someone the confidence needed to interact with others on both a professional and personal level. With a background in dental training from the prestigious Tufts University as well as leadership involvement with the South Shore District Dental Society, our dentist is an experts at restoring and reconstructing smiles unveiling their full potential. Cosmetic dentistry offers a number of tools and procedures to create, renovate, brighten and redesign any type of smile. From teeth whitening to dental implants, East Weymouth cosmetic dentist Dr. Moghaddam makes it his priority to help you achieve the smile you’ve always wanted.